Home Reviews Quon: “Independent” lodges in your brain! Quon, the American rapper hailing from Amarillo, TX, has been impacting the industry with his singles: “Im It” “Hunnid Miles n Runnin” and “Get It Wit Me”. Now the artist takes another gigantic step forward with his brand new single and video release: “Independent”. This is the most urgent and catchy a Quon project has sounded in some time, taking no prisoners with its constant barrage of rhymes and renewed energy. The rapper has a penchant for writing pervasive hooks and one liners, delivered in his matter-of-fact deadpan that lodges in your brain. Easily digestible, often tongue in cheek, Quon has also perfected the art of knocking out four bar choruses that pull you in. He legitimately sounds like he enjoys performing, his vocals betraying something akin to a smirk; as if relishing in the ability to release songs like “Independent”. The fact is few could follow Quon in the niche he is carving out for himself. It’s a tough stomping ground, bangers and party anthems with southern trap underpinnings, which are glued together by Quon’s charisma. With an easy delivery and a great voice, there’s a reason why his braggadocio sounds appealing rather than intimidating. By sticking to his guns on “Independent”, Quon proves he is a threat to the up-and-comers as well as the veterans. He’s not wanting to be too innovative, because that’s not necessary, he’s safe in his habitat, making music his way, and audiences are the better for it. “Independent” distills the sonic extremes of contemporary hip-hop into a potent hybrid of radio-friendly sheen and hard-knocking club rhythm. 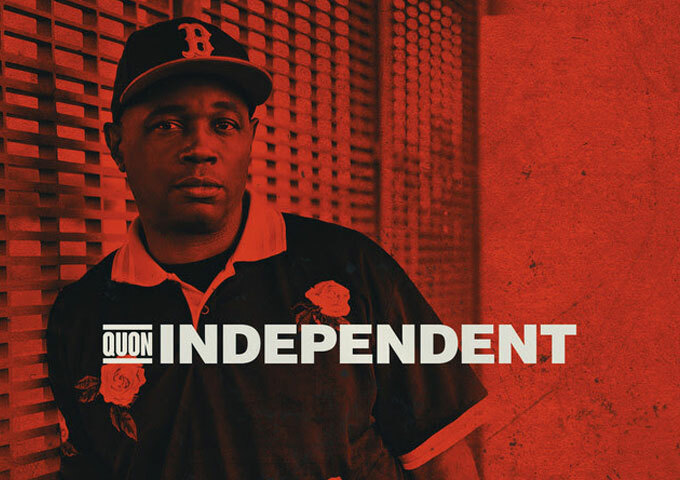 Basically, Quon has the instruction manual on how to create a good banger, and he uses it on “Independent”. The energy is through the roof, with the main participant cocky and confident, while the funky, malicious production and rhymes are irresistible. This track is indeed hot as hell, both in its vibe and the performance. The hook is simple, but gets stuck in your head the instant you hear it. The piano loop is hypnotizing, while the bass and percussion goes down hard. This is a perfect example of a banger that’s simply overpowering because it’s just that good. 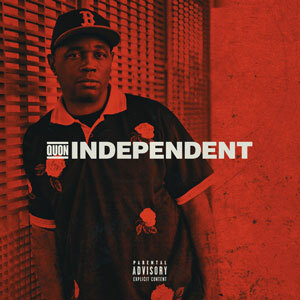 “Independent” confirms that Quon can succeed in turning underground clout into mainstream appeal, if he wants to. All-in-all, Quon displays dynamism, lyrical acrobatics and an understanding of the female psyche, as well as dealing out a very in-depth analysis of gender relations. If you are inquisitive about what this dude has to say about the “Independent” lifestyle or would like to get your feet wet in an incredible rap tour de force, look no further than this track. Quon knows how to play to his strengths while staying relevant in the context of hip-hop as a whole, and ultimately, this leads to another successful project. This this makes for both a devastatingly self-assured presence on the mic and a brazen sonic sensibility. When Quon is in his zone, he’s unstoppable, with a knack for converting throwaway slogans into positively transcendent pop hooks. Half Deaf: “The Story” – compulsive listening!